Good morning, Jet fans! I hope everyone’s having a great start to their day. Le’veon Bell has let it be known that he will be wearing No. 26 while he is a Jet. I wonder if Marcus Maye let him have it or a deal was struck between the two for the number. Sam Darnold has said that the Jets players all ‘love’ Adam Gase. I think he should’ve held off on that at least until the first preseason game. Sam is a good guy but let’s be real, it’s easy to love someone when you first know them. We’ll see how it pans out in the future but I think it’s safe to say that the feeling of ‘love’ will be quite shortlived if the team starts losing. With that said, here are your links for the team this Tuesday. Darryl Slater - NFL mock draft 2019: Here’s what Peter King thinks Jets should do with No. 3 pick | Quinnen Williams? Josh Allen? Trade down? Here are your missed connections from yesterday. Here’s the thread about nothing, make sure you check it out. I hope you all have a safe and wonderful day! 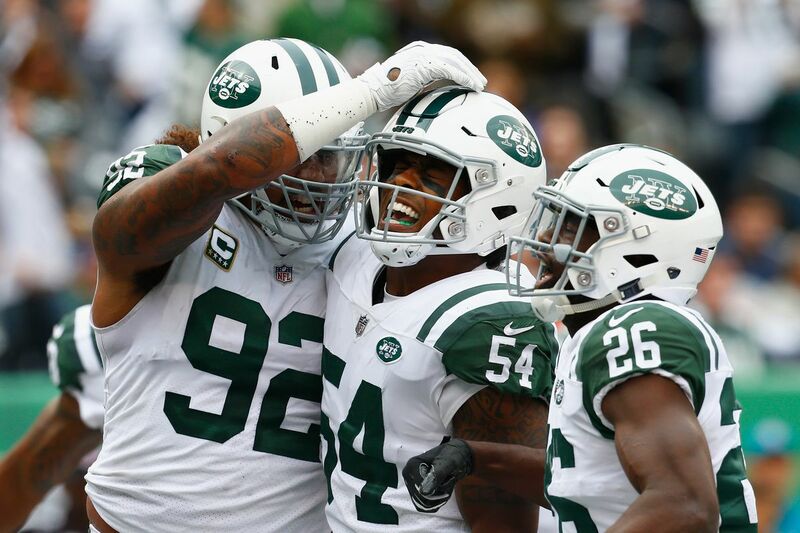 Which new Jet will make the biggest impact on the team in 2019? This Article has a component height of 24. The sidebar size is long.